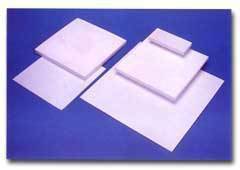 We have been supplying teflon / nylon components to meet every need of our customer. Whether it is a component that needs to be replicated or a component that needs to precision machined we have the capability to manufacture it as per your specification. 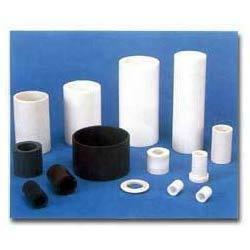 We also stock Nylon / Teflon bushings if you want to machine it yourself. 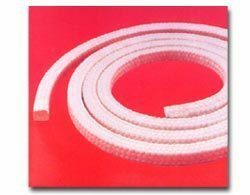 Being a customer oriented firm, we are engaged in offering a wide range of PTFE Rope. This rope is manufactured by vendors using optimum grade raw material and sophisticated technology in synchronization with international standards. In order to ensure quality, the entire range is rigorously tested on various parameters by our quality controllers. Keeping in mind the diverse requirements of our clients, we provide offered rope in various sizes and specifications and at affordable prices. Riding on unfathomable volumes of industrial expertise, we are offering an excellent range of Teflon Rods. Being a quality-oriented organization, we assure our clients that this product is the best in quality. Our vendor’s experts only utilize fine quality raw material, while manufacturing the entire range. Moreover, our offered product can be availed in a wide range of sizes and shapes, as per the requirements of our esteemed clients. Our valuable clients can get these Teflon range from us at market leading prices. 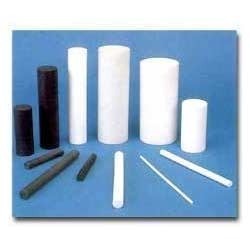 Being a client-centric organization, we are engaged in offering a distinct collection of Nylon Rods. Our vendor’s professionals manufacture this product using well-tested raw material and sophisticated technology. In addition to this, our offered product is rigorously tested by our quality controllers against diverse parameters in order to deliver a defect-free range at clients end. 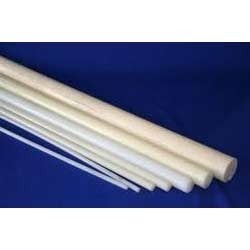 Moreover, the offered rods are extensively appreciated by our clients for featuring variegated attributes like easy installation and durability.